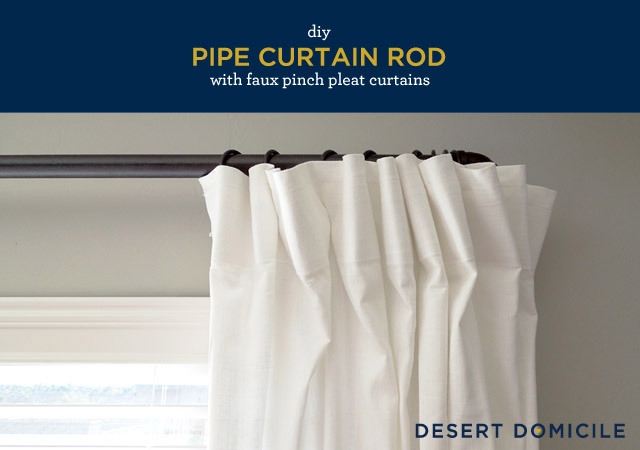 Pipe curtain rods are super popular right now and very easy to make! Tip: wear your gloves (gardening, kitchen, etc.) when you're screwing everything together so you don't get little cuts from the pipe's threading on your finger tips! 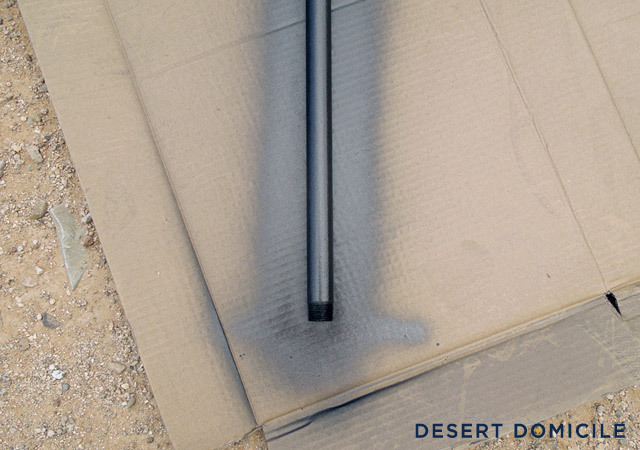 Once the paint has dried and is no longer sticky (I waited 24 hours), measure out the placement of where you'd like the curtain rod to be on your wall. 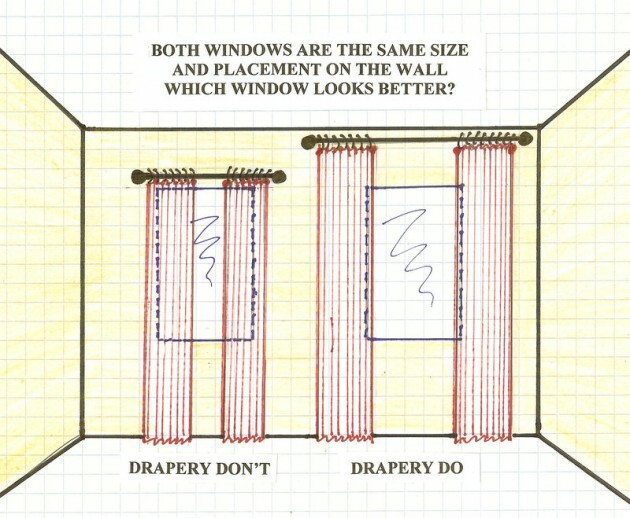 Remember: curtains look best when they're hung high and wide! Find studs if you can since the rod + curtains added to it can be a bit heavy and you probably don't want everything crashing down at 2am! If you can't find studs, use heavy duty anchors instead. 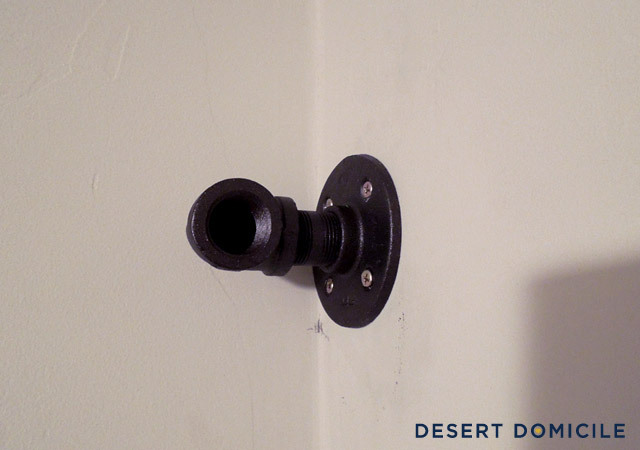 Next, screw one end of the long pipe into the end of the 90-degree elbow that's attached to the arm that you just screwed into the wall. This is where it's nice to have an extra set of helping hands so one of you can screw the pipe into the elbow while the other holds the pipe up so it doesn't fall on your head! After you've screwed one end of the pipe in, slide your curtain rings onto the pipe. 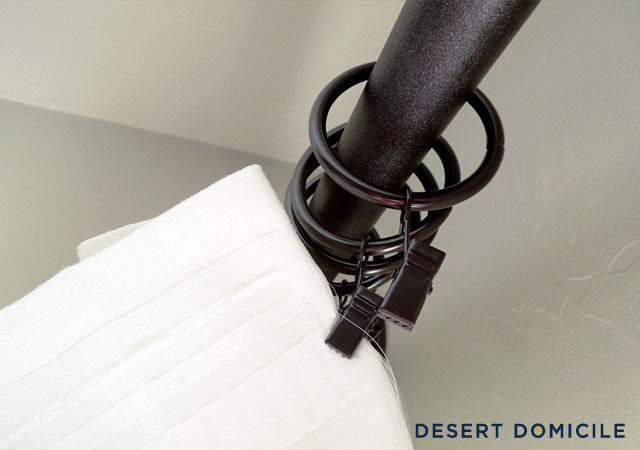 If you're not using curtain rings and simply sliding the curtains onto the pipe, do that step now but know that everything is going to become extra heavy from the weight of the fabric hanging down from the pipe! 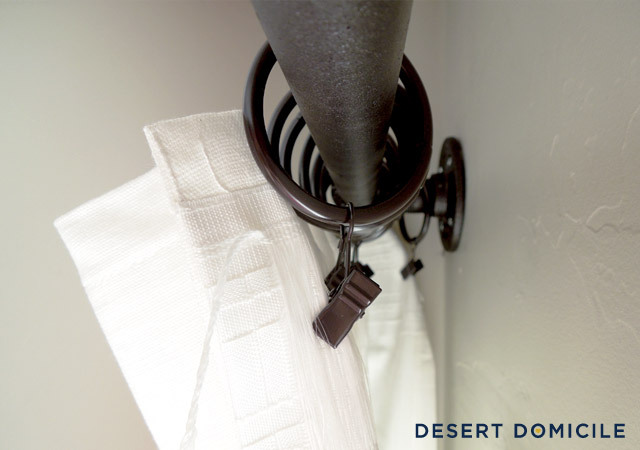 Once your rings/curtains are on the pipe, switch places with your partner and screw the other side of the long pipe into the 90-degree elbow that's attached to the arm you haven't screwed into the wall yet. Since this arm isn't screwed into the wall yet, we'll need to mark the placement of its screws. 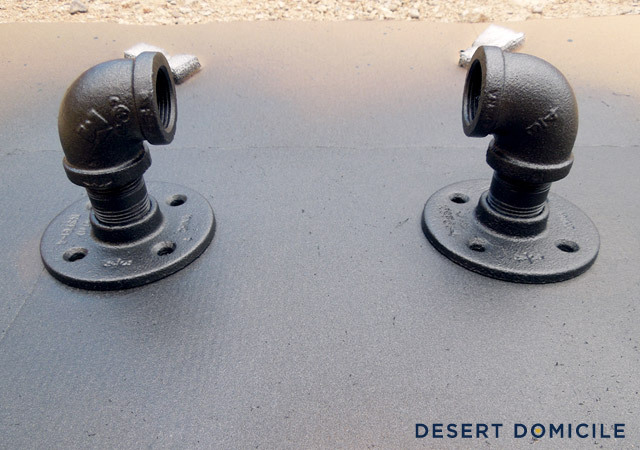 Hold the floor flange tight against the wall while your partner grabs the level. 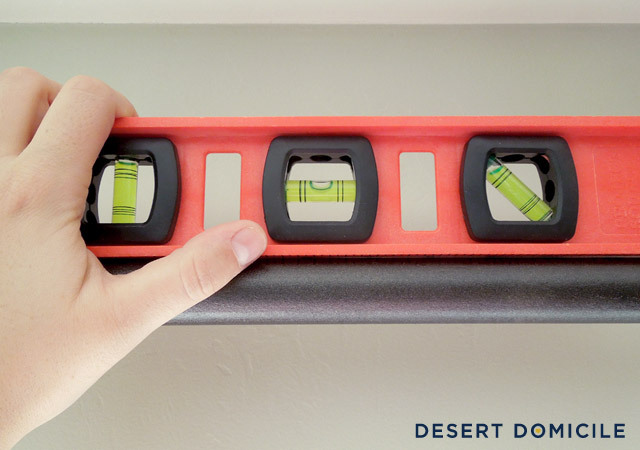 Make sure the entire curtain rod is level before marking the screws placement! Now this is the tricky part: if you didn't find any studs, you'll need to unscrew the long pipe from the arm that's already attached to the wall so you can put your anchors into the exact location of the marks you just made on the wall without there being a pipe in the way. 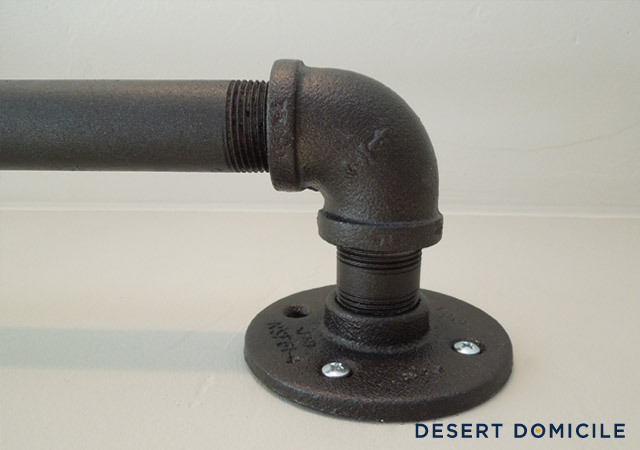 Then you'll need to screw the arm back onto the long pipe so you can screw the floor flange into the wall. You won't be able to put a screw into the hole behind the pipe (see below) because the pipe is in the way but that's OK! 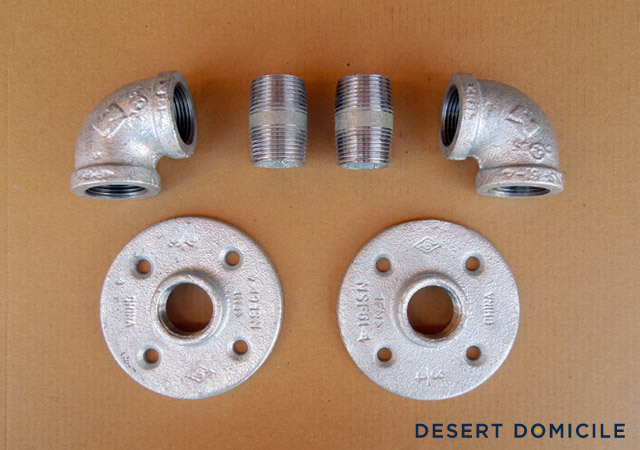 If you did find studs, leave all of the pieces screwed together and have you or your partner hold the pipe in place while the other person screws the floor flange into the wall. It's a bit of a pain to do but it can be done! 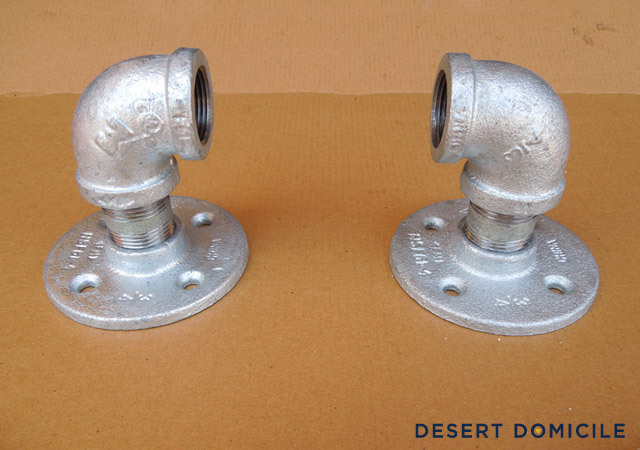 After everything is all said and done and your pipe curtain rod is securely hung, take a step back and admire your work! 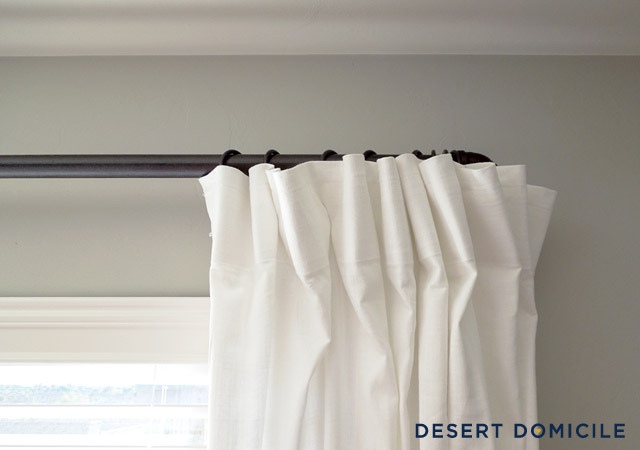 If you slid your curtains onto the rod sans rings, fluff them up and space them out how you see fit. 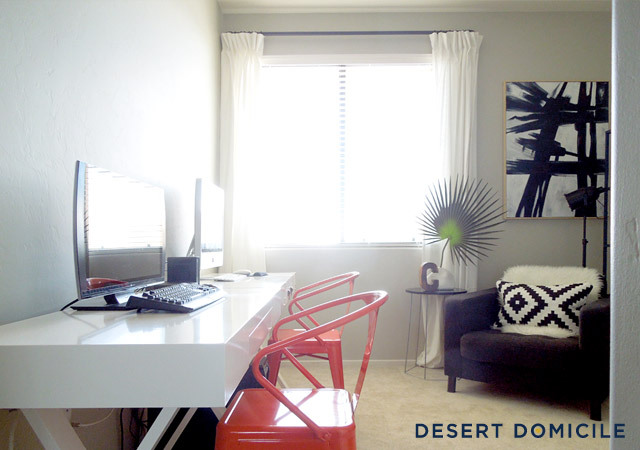 If you added curtain rings, it's time to start ringing your curtains up! 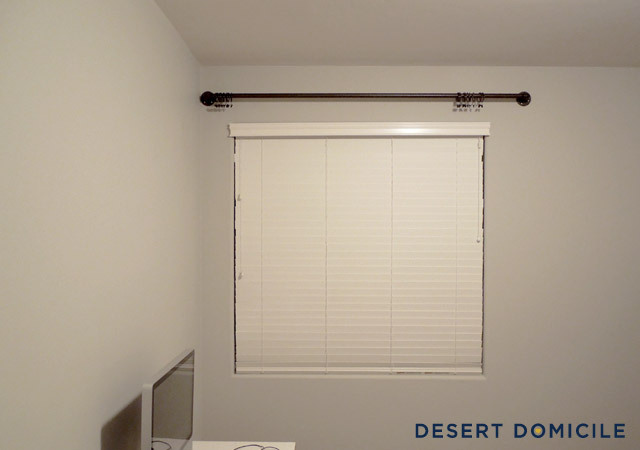 What do you think of pipe curtain rods? 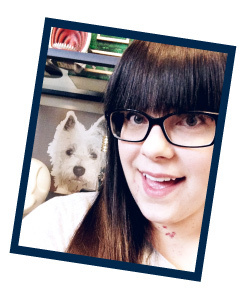 Think you'll make one of your own? Great tutorial and the curtains and rod look awesome! 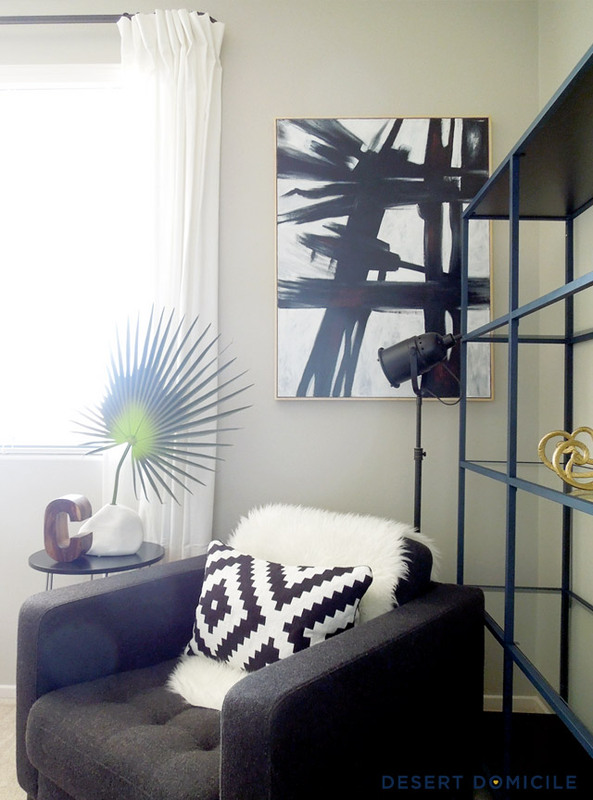 Love the industrial vibe of these! Thanks Katja! Do they hold up well outside? I've thought about making one for our patio but wasn't sure if they'd survive the heat or monsoons. I love pipe curtains! They are so chic and industrial. Your office is amazing. How much was the total cost for the pipe? Very nice! I just pinned something similar the other day. Looks great! I love the look of the pipe rod. Anytime I see them I think of those bookcases from Brick House. Never thought about using them as a curtain rod. Seriously great idea. Thanks for the tutorial! I really like this idea! Brilliant! I love the industrial look! 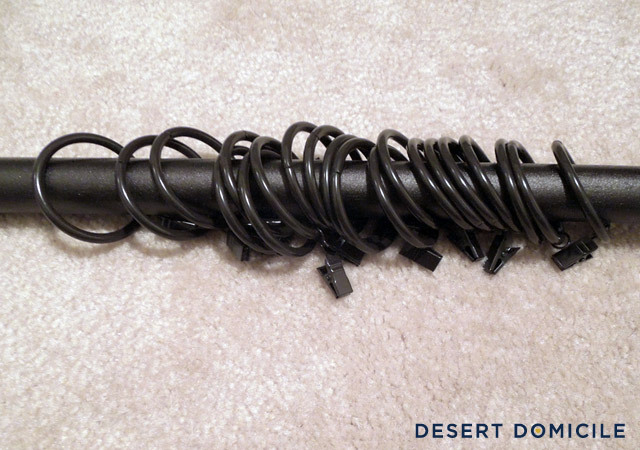 Great Idea, It can help me us a lot in our DIY project.